Mephedrone: Entity of the Month | O'Really? “Mephedrone (CHEBI:59331) is a synthetic central nervous system stimulant and entactogen drug chemically related to cathinone, the psychoactive alkaloid present in the khat plant (Catha edulis, family Celastraceae). It can be synthesised from 4-methylpropiophenone by an initial bromination at the β-carbon followed by replacement of the bromine by a methylamino group derived from methylamine hydrochloride. 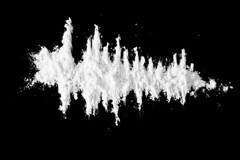 Although it was probably not available until 2007, by 2009 mephedrone had become the fourth most popular street drug in the UK, behind cannabis, cocaine and ecstasy. Little is currently known regarding its pharmacology or toxicology, although one recent report suggests the likelihood that it stimulates the release of, and then inhibits the reuptake of, monoamine neurotransmitters . HI Frank, you’d have to ask the curators about that 🙂 Are they synonyms or slang? .. meph, drone, bubbles, meow miaow .. Interesting, 21075 are fully annotated, yet only 16178 sdf structures in the 3 star dataset provided in http://www.ebi.ac.uk/chebi/downloadsForward.do in the ChEBI lite 3 star sdf set. Is that the ~5K classes that you are counting as being fully annotated that constitute the difference? Or am I missing something?